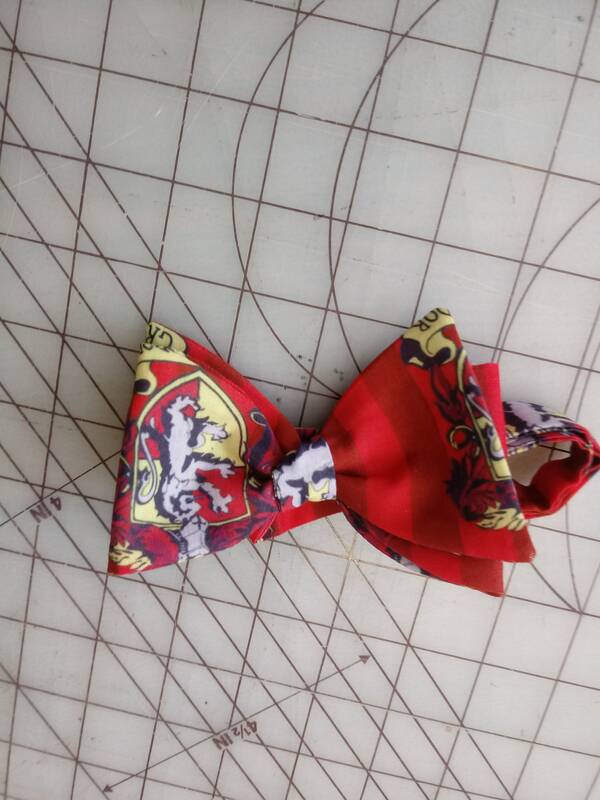 Harry Potter Gryffindor Necktie in bow ties and pocket squares. Great for any fan. Adult bow tie is self-tie, sized to 16.5", custom length available at no charge. Check out other Harry Potter prints in the Neckties and Accessories section of my shop!